Towering 46 stories just south of City Hall, The Ritz Carlton houses nearly 300 condominiums in a variety of sizes from one bedroom condos to a jumbo Penthouse- nearly unrivaled in Center City in terms of size, views, and style. 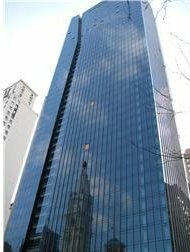 With some new pricing, the Ritz Carlton is poised to be 2011 and 2012’s hottest selling Philadelphia high rise. Condo fees are higher than most, but the services and amenities lend credence to the monthly fees. Pet Friendly, tax abated, and Towncar service for residents. Floor to ceiling windows and beautifully finished throughout. 2. WaterFront Square- 901 N. Penn St. Probably the most overlooked building in town, WaterFront Square offers quiet, water front living in an environment that is nothing short of relaxing. 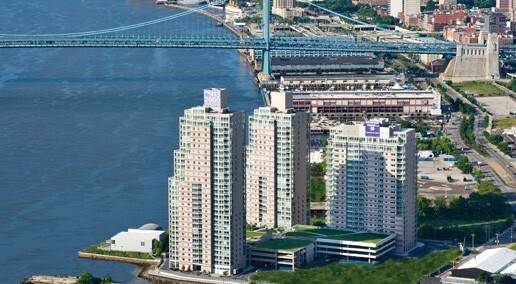 Three towers- The Reef building being the newest and boasts a gracious tax abatement, river front gym and pool, not to mention shuttle service into Center City. Room layouts are well thought-out, and most unit have private balconies. A gated community with on-site management and concierge. Pet friendly. 3. 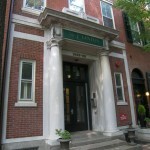 The Hopkinson House- 604 S. Washington Sq. The “Toyota” of Center City high rise living. 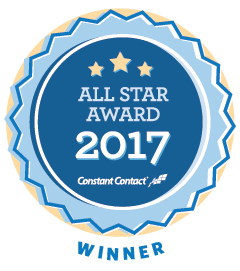 Reliable, dependable, good resale, and a strong Washington Square location. Perhaps not high on “Glamour”, but consistently a strong buy in any real estate market. Roof top swimming pool, 24 hour doormen, on site management, garage rental parking, and the building offers Studio, One and Two bedroom condominiums. No dogs. South facing units offer great sun, and north facing units look onto Washington Square. All utilities included in condo fees. 4. 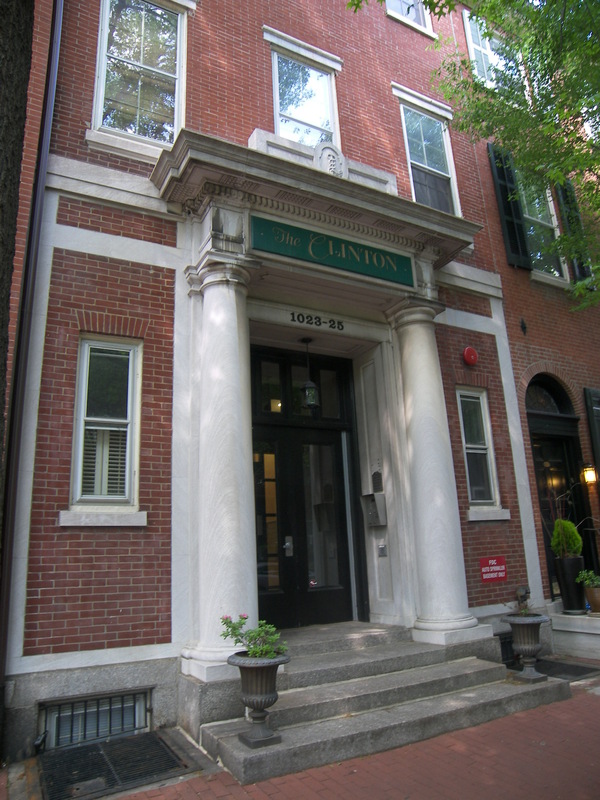 The Clinton – 1023 Clinton St. In terms of low rise condos in town, it is hard to beat the quality and location of the Clinton St. condominiums in Washington Square West. 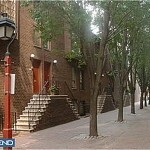 A lovely tree lined street with little thru-traffic, bricked sidewalks and historic street lighting. 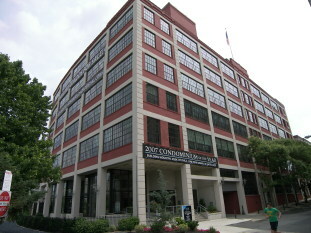 The condo building consists of 20 units- from one bedrooms to larger two bedroom bi-level units. A few of the condos include parking- and a rental garage sits directly across the street. Lovely interior finishes, and a well managed building. Pet friendly, and attractive rear common garden area. Often overlooked as a quiet, in-town option for condominium living. 5. 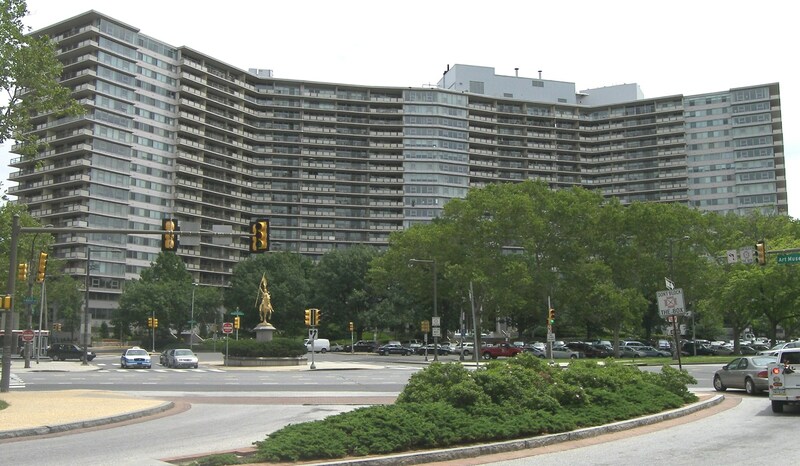 The Philadelphian- 2401 Pennsylvania Ave. 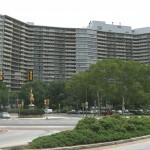 The largest condominium building in the state of Pennsylvania. Known for it strong management, and services, the building boasts an assortment of activities, services, and on-site retail- including a restaurant, pharmacy, and small super market. South facing units are afforded a terrific view of downtown Philadelphia and the Art Museum, and the Penthouse units are nothing short of mansions in the sky. 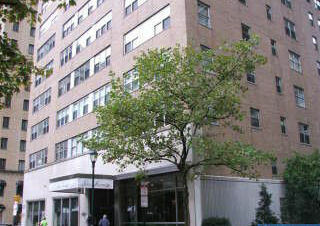 Condo fees include all utilities, and rental parking- when available is can be found in the lower level of the building. Two pools, and a shuttle into and around town. 6. 117 S. 16th St. AKA- 1551 Samson St. Truly unique- This six story mid-rise condo building has but one unit per floor. Elevator opens directly into unit. 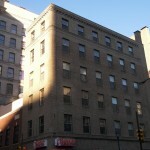 A surprisingly well located building that even many Center City Realtors could identify. A plethora of windows, reasonable condo fees, and extra basement storage. Pet friendly and proximity to shopping and activities in town is strong. Modest condo fees and a fantastic light are the hallmarks of 117 S. 16th St.
7. Locust Point – 2429 Locust St.
With 110 units, on-site parking, and next to the Schuylkill River Jogging Trail, this building really shines. 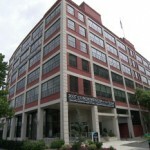 Great value, a terrific sales record, and FHA approved, Locust Point demonstrated it’s desirability by selling out when other buildings in town stood still. 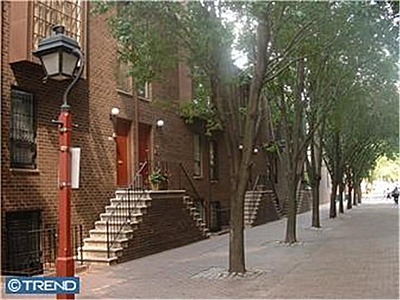 Not to mention the integration into a fine residential neighborhood, and proximity to University Of Penn. 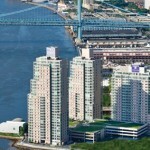 A great mix of one and two bedroom condos. Common areas have been refinished, and many common elements replaced (windows!) throughout the building. The perfect cross between a modern townhouse and condo living in a Society Hill locale. Upper and lower units- each with it’s own distinct advantages. Lower units have very nice gardens, and upper units have soaring living room ceilings. Rental parking at Independence Place, and many units face the quiet off-street courtyard. Ranging from 1300+ to nearly 1500 sq ft., every units is a two bed, two bath with a small den area overlooking the living room. All units are bi-level, and even upper units have a balcony/outside space. Perfectly adept at customizing into a modern, or more traditional style, St. James Court Condos were built as a low rise supplement to Independence Place. Nice curb appeal and well managed. These late 1970’s units can go strikingly contemporary, to a more muted traditional feel. 9. 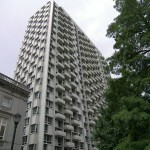 The Dorchester- 224 W. Rittenhouse Sq. 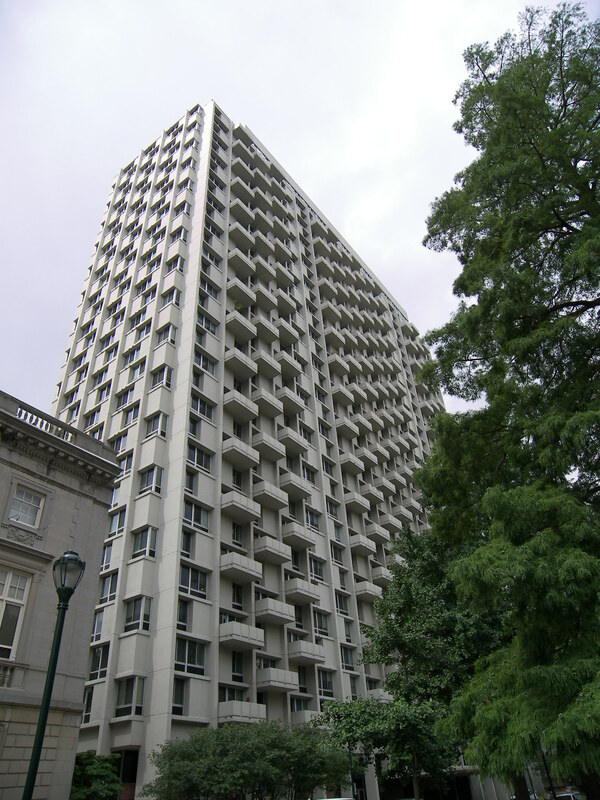 Sitting proudly on the southwest corner of Rittenhouse Square is probably one of the best known building in Center City- The Dorchester. 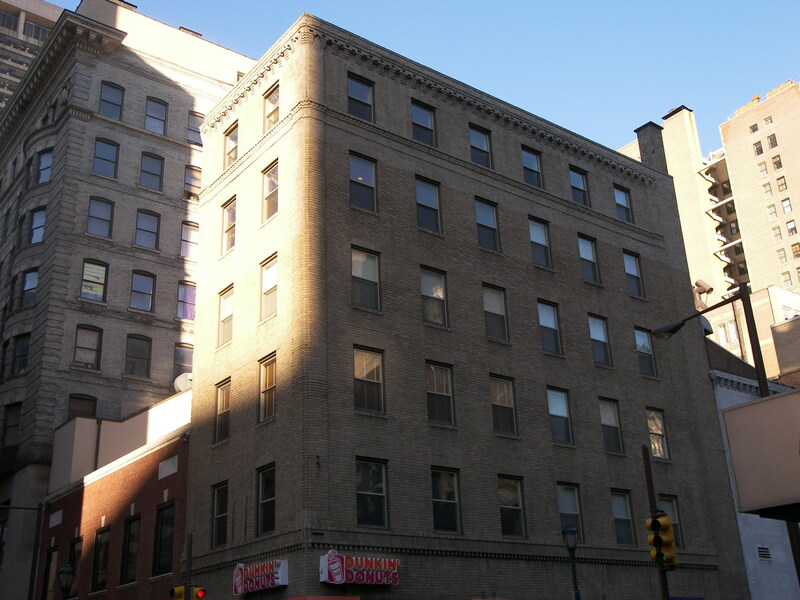 With roof top swimming pool, rental garage parking, and variety of sized units, 224 W. Rittenhouse continues to churn up more supply than demand. 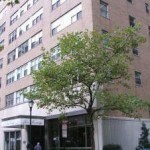 Units within the building have a tendency to sell fairly quickly and not languish on the market. High floor command strong prices, and have sweeping city views. Twenty Four hour doorman building and on-site management. A smart buy, if you can find a unit to purchase. 10. Acme Piano Condominiums- 201 Queen St. 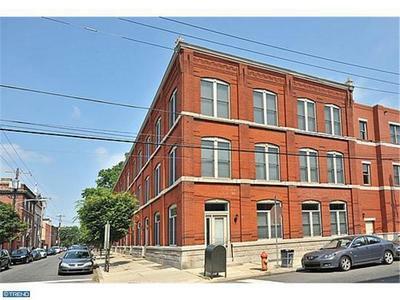 This Boutique converted warehouse sits in the heart of Queen Village and units rarely become available for sale. 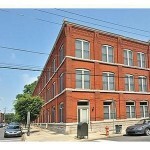 All units are of substantial size (2000 sq ft+/-) and most include garage parking. Pet friendly and quiet building noted for high ceilings, over sized windows, and original detailing complement the scale and dimension to the rooms. Nicely finished with upgraded kitchens and baths. This project is approximately seven years old, and a great addition to the neighborhood.